A poem on the Center for Mindful Self-Compassion Website. It just lists “Anon” under the title. Thank you Anon. This is beautiful and powerful. What if a poem were just for me? Is conscious, has feelings, counts? All the while vulnerable under, deep under, the layers of sedimentary defense. I don’t know if I continue, even today, always liking myself. But what I learned to do many years ago was to forgive myself. It is very important for every human being to forgive herself or himself because if you live, you will make mistakes- it is inevitable. But once you do and you see the mistake, then you forgive yourself and say, ‘well, if I’d known better I’d have done better,’ that’s all. So you say to people who you think you may have injured, ‘I’m sorry,’ and then you say to yourself, ‘I’m sorry.’ If we all hold on to the mistake, we can’t see our own glory in the mirror because we have the mistake between our faces and the mirror; we can’t see what we’re capable of being. You can ask forgiveness of others, but in the end the real forgiveness is in one’s own self. I think that young men and women are so caught by the way they see themselves. Now mind you. When a larger society sees them as unattractive, as threats, as too black or too white or too poor or too fat or too thin or too sexual or too asexual, that’s rough. But you can overcome that. The real difficulty is to overcome how you think about yourself. If we don’t have that we never grow, we never learn, and sure as hell we should never teach. 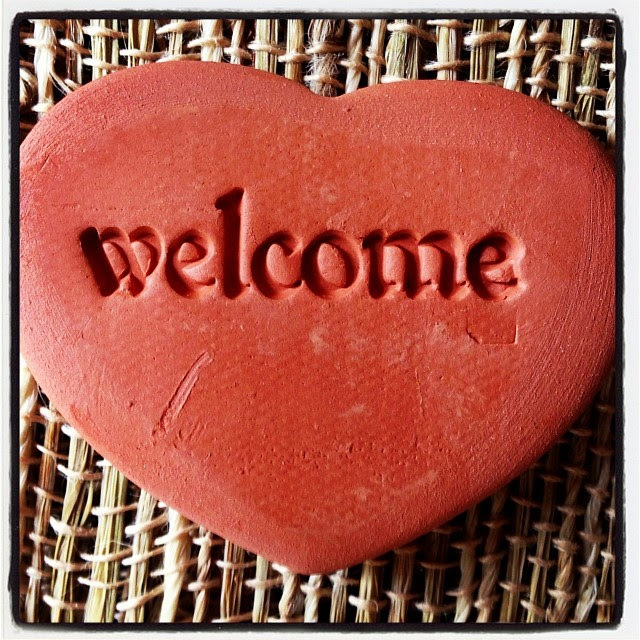 In welcoming everything, we don’t have to like what’s arising. It’s actually not our job to approve or disapprove. It’s our task to trust, to listen, and to pay careful attention to the changing experience. At the deepest level, we are being asked to cultivate a kind of fearless receptivity. nothing so gentle as real strength. 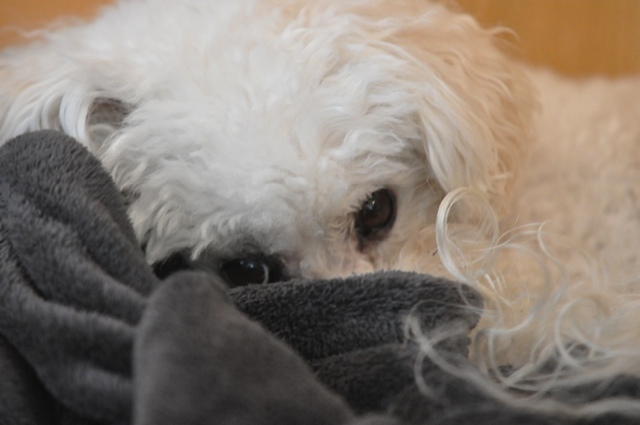 Here’s Lily, one of my Bichons, reminding you to be gentle with yourself. Many people think that when you meditate, you clear your mind of all thoughts. But minds wander–that’s just what they do. Rather than thinking that this is a sign of failure (“I’m horrible at meditation), Sharon describes it as a magic moment. The moment that we realize our attention has wandered is the magic moment of the practice, because that’s the moment we have the chance to be really different. 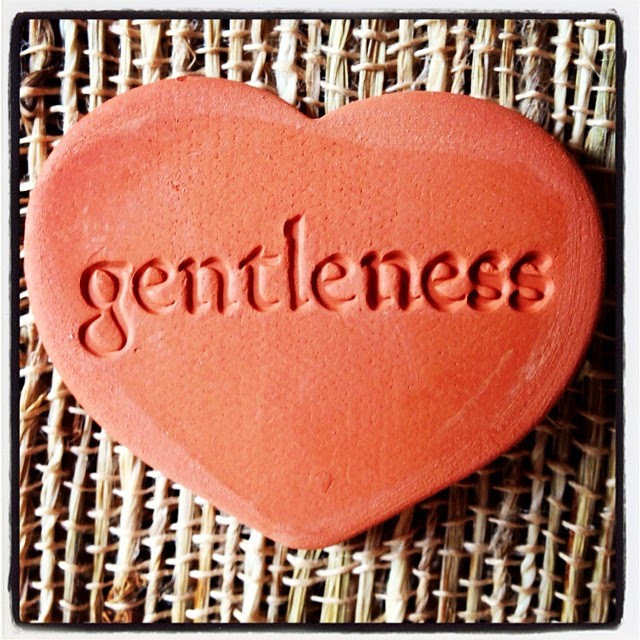 Instead of judging ourselves, and berating ourselves, and condemning ourselves, we can be gentle with ourselves. 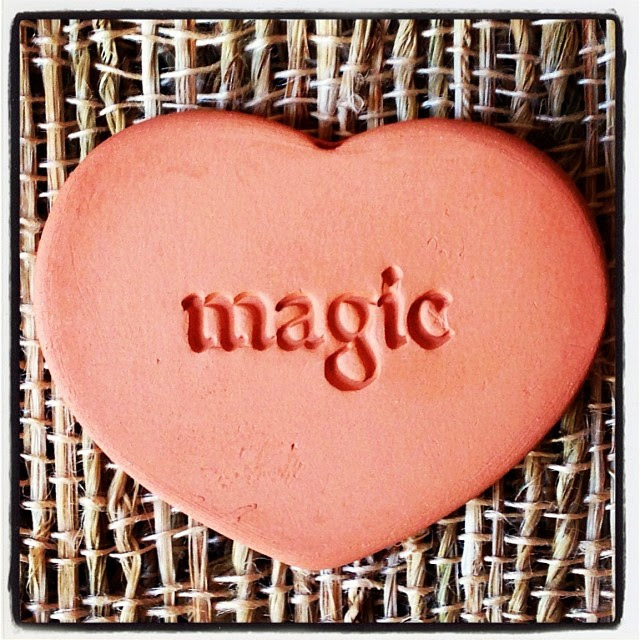 This magic moment message can be extended in so many ways. The magic moment is when we go from driving ourselves too hard to letting ourselves rest. The magic moment is when we move from trying to be perfect to being real. The magic moment is when we move from isolation to realizing we’re all in this together. The magic moment is when we stop fearing change and embrace uncertainty instead. The magic moment is when we come home to ourselves. I wish for you many magic moments in your life. Sharon’s books on meditation are very practical, down-to-earth, and not attached to any particular religion. 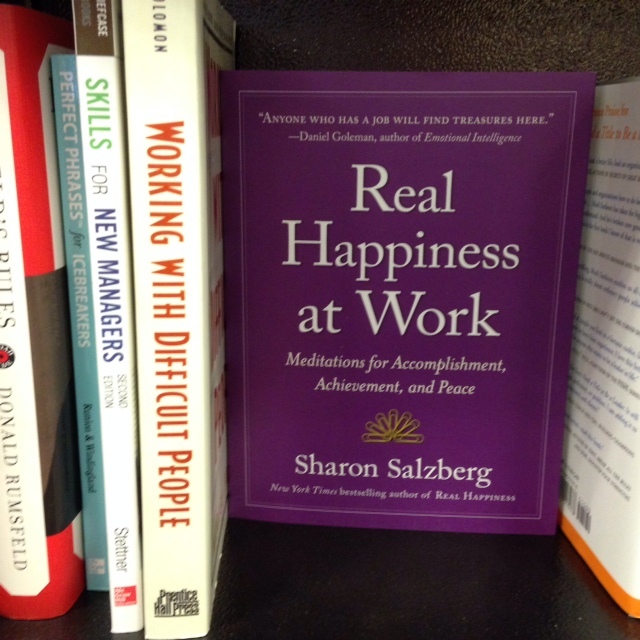 I just bought her newest book, Real Happiness at Work with a Barnes and Noble gift card I just got for my Birthday. (It’s actually in the business section; I had to ask because I couldn’t find it.) Her other recent book is Real Happiness: The Power of Meditation. To see the first of the Tiny Heart series, click here. I hope you’ll join me on Facebook. I like to hang out there. 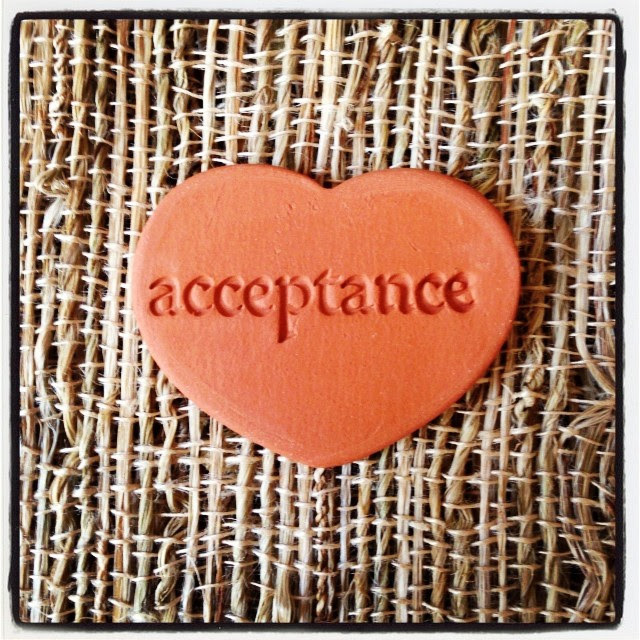 Acceptance is the only way out of hell. We must accept finite disappointment, but never lose infinite hope. ― Martin Luther King Jr. 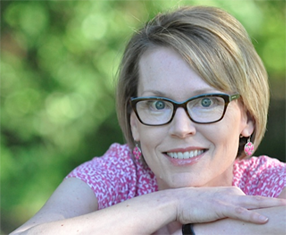 If you haven’t already, I’d love it if you joined me on Facebook. Thanks! To see the beginning of this series, read about Hearthstones. 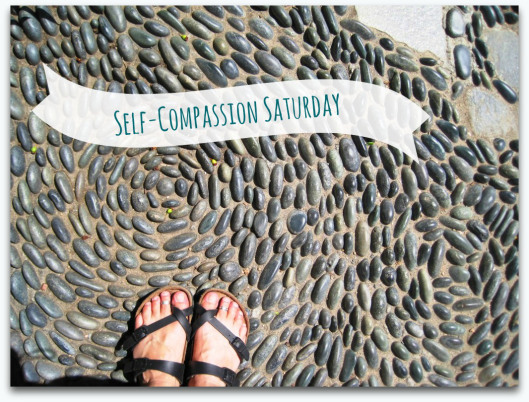 Underneath virtually all of our suffering lies a lack of self-compassion. When Jill Salahub, author of the blog, A Thousand Shades of Gray, realized this, she began the series, Self-Compassion Saturdays. She interviews women bloggers (artists, writers, coaches, and a psychologist—me) all about self-compassion: what it means, what it looks like, and what they still want to learn. Jill is putting together an e-book based on these interviews. Be sure to subscribe to her blog so you don’t miss it when it’s complete! I’ve shared highlights of each interview on my Psychology Today blog . Sorry to make you click over–search engines (and Psychology Today) don’t like it if you put the same content two places. Click here to read the full post. Thanks!